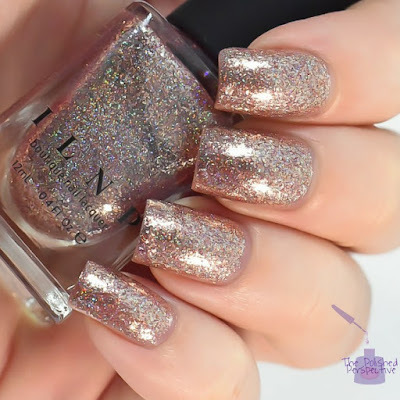 ILNP Juliette is described as a Ultra Metallic holographic with a rose gold finish. This was incredibly hard to photograph true to color and finish but this end result seems to do it justice. I did swatch this before just to practice taking pictures with a hard to photograph polish. I learned that it's faster and easier to remove with a glue-based basecoat. So, that's what I did here. This is an awesome rose gold with the right amount of pink. My swatch is shown with two coats. It dried smooth and I really love the balance of reflective flakies and holographic micro glitters. It's awesome in the sun, indoors, and shade. I love this polish! 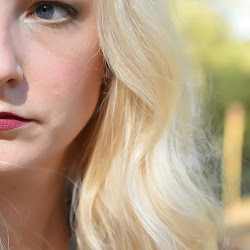 Now that I have this first untried post up, I can't wait to do more! It's definitely one of my favorites!